A miter saw may appear to be very intimidating but here is a good news to all ladies and gentlemen out there. Making use of an electric miter saw is never that difficult to do. Operating through it can be more interesting knowing that there are a lot of stuffs that you can make out from this user friendly equipment. 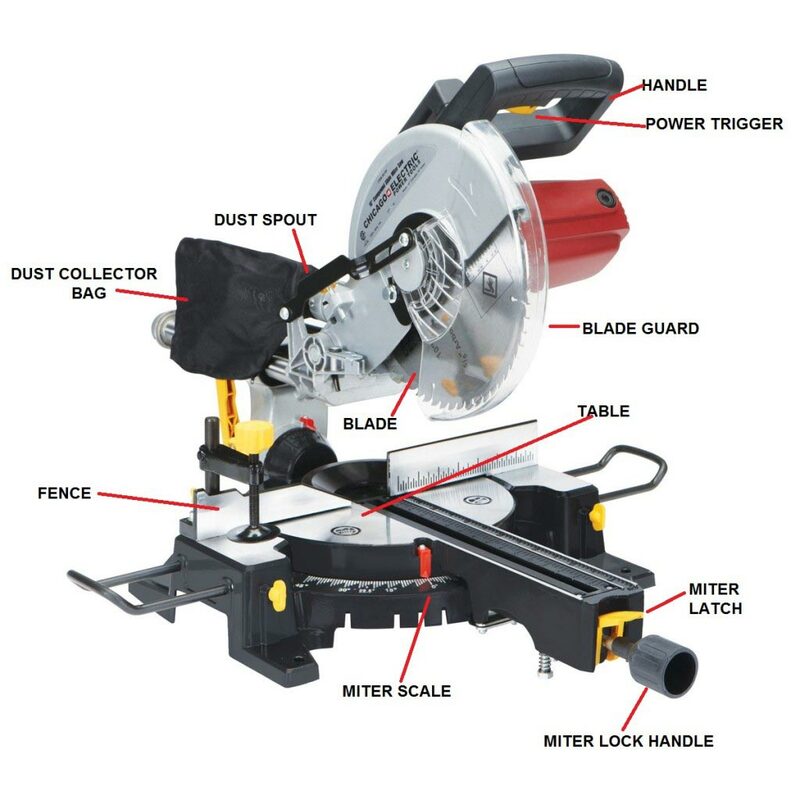 Before we’ll go further to the step by step guide, it will be more helpful if you will first get to become familiar with the basic parts of an electric miter saw with their respective functions. Handle – This is where you are going to pull the power trigger which will make the miter saw blade to turn. Blade Guard – This covers the blade to protect users from the rotating blade, especially when the blade has not yet come near the substance. This is designed to prevent anything else gets close to the blade such as shirt, finger, etc. Dust Spout – An exhaust where the dust from the substance that you are cutting will come out. If your electric miter saw do not come with a dust collector, you can attach a bag into this spout to collect the saw dust and makes you clean your dust out fast. Make sure that you firmly make the attachment. Fence – This is the part that holds against the substance that you are cutting, preventing it from going anywhere else. In most cases, carpenters and wood workers prefer to install a sacrificial fence in addition to this stuff. 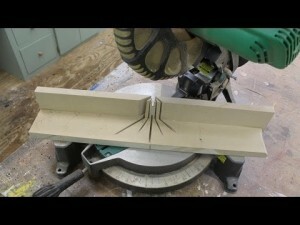 Table – This is the part where you will put your substance for cutting. Miter latch – This serves as a trigger that allows you to move your blade and miter handle into different angles. Miter lock handle – This is the part that you need to hold in order to move your blade into angles. Miter scale – This is your guide in which you will be referring to cut your substance into the desired set angles. Press the miter latch to allow your saw to move into the desired angle. Place the angle pointer into the angle which you want to cut your substance. Refer to the miter scale. As you do this, notice how the blade also moves along with it. Let go of the latch once you already placed the saw into the right angle. Turn the miter lock handle into a clockwise rotation to lock. Step 2: Place the substance that you want to cut on the miter saw table and make it lain against the fence. For a more safety operations, you can make use of a clamp to secure the substance into place. Also, you have to make sure that your electric miter saw is placed on top of a stable structure. Step 3: It is safer if you plug your equipment by this time. Hold the equipment’s handle firmly and press the power trigger. This trigger will then power your saw motor and thus will make the blade rotate. Step 4: Push the handle down to cut the substance on the saw table and clamped against the fence. You see, as what we told you, operating an electric miter saw is just as easy as these 5 steps. But that’s not all, we are also going to let you know about how you can create a sacrificial fence for your electronic miter saw. 2 wooden boards, which is preferably a ply wood. The size would be ¾ inch thick, 3 inches wide and could have a length of 30 inches. Step 1: Set the 2 wooden boards perpendicular to each other. Step 2: Nail the wooden boards together on both ends. Step 3: Locate the center of the boards and nail it together on at least 3 inches away on both sides from the center. Step 4: Screw the board into the electronic miter saw’s original fence. Screw on both ends of the fences. Most miter saw fences have this provision for the screw. Step 5: Make a stop mark on your sacrificial fence. A stop mark will determine on how deep will your saw blade will dig into the sacrificial fence. In this way, you would not want your fence to be totally cut with just one use. Wear a working eyeglasses and earplugs every time you operate your miter saw. Always unplug your electronic miter saw when you are not yet using it. Keep anything from getting close into the blade, especially when it has already started to rotate, except of course those substance that you are cutting.